25950 N 107th Way, Scottsdale, AZ.| MLS# 5834046 | White Rock Realty is now serving the Greater Phoenix area as well as Mesa, Lake Havasu City, Parker, and Quartzsite Arizona. We represent Buyer and Sellers alike in Residential, Land and Commercial transactions. 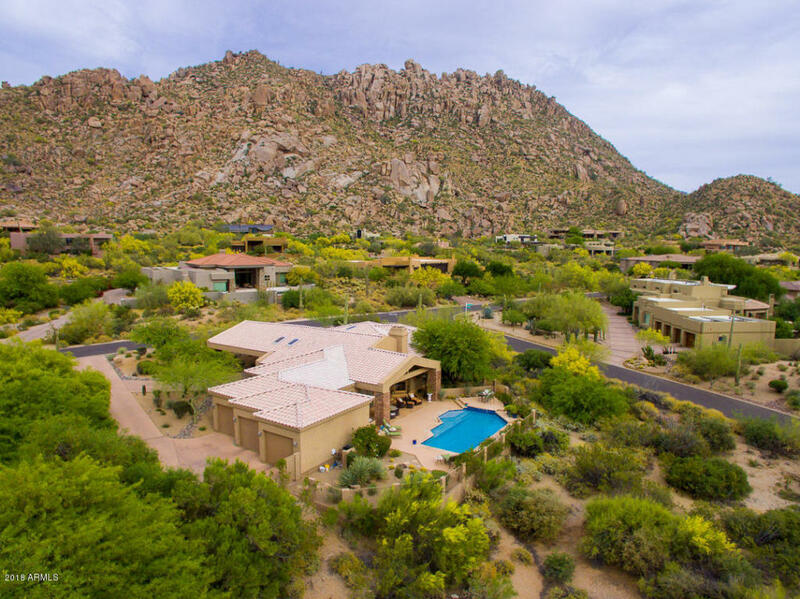 Beautiful custom home, w/ amazing mountain & city light views, in the desired guard gated community of Windy Walk Estates in Troon. Be amazed the minute you pull up to the stacked stone porte-cochere & step into the family room w/ soaring ceilings, skylights & floor to ceiling windows to take in those spectacular views. Light & bright floor plan w/ cozy fireplace in living room & chef's kitchen featuring gas cooktop, SS appliances, espresso cabinets & granite counters. Large master suite boasts sitting area, dual sinks & closets, separate walk-in shower & jetted tub & entry to private patio w/ those gorgeous views. Continue to be wowed as you step out back to the spacious covered patio w/ fireplace & Mossman Pool w/ waterfall. This home is truly an entertainers dream!